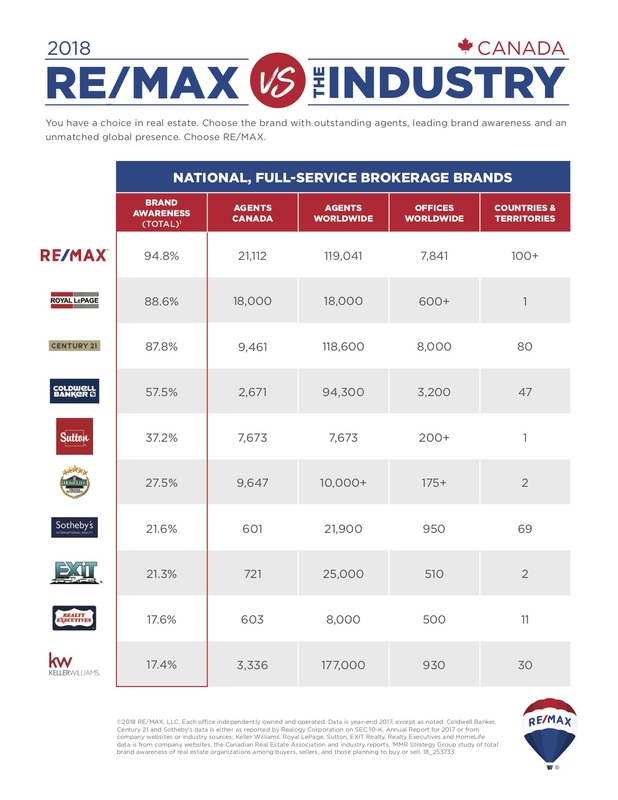 There are over 20,000 RE/MAX Agents like yourself across Canada who work to solidify RE/MAX as the most recognized real estate brand in the country. You work tirelessly to put words into action by providing the quality service and expertise associated with the RE/MAX brand by millions of Canadians. 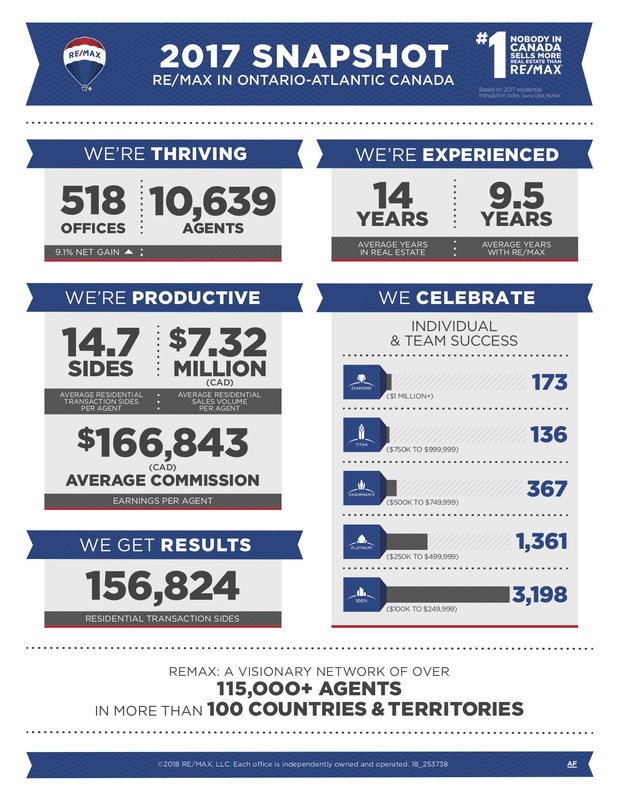 Thanks to your work, RE/MAX represents home – both for your clients and thousands of your colleagues. 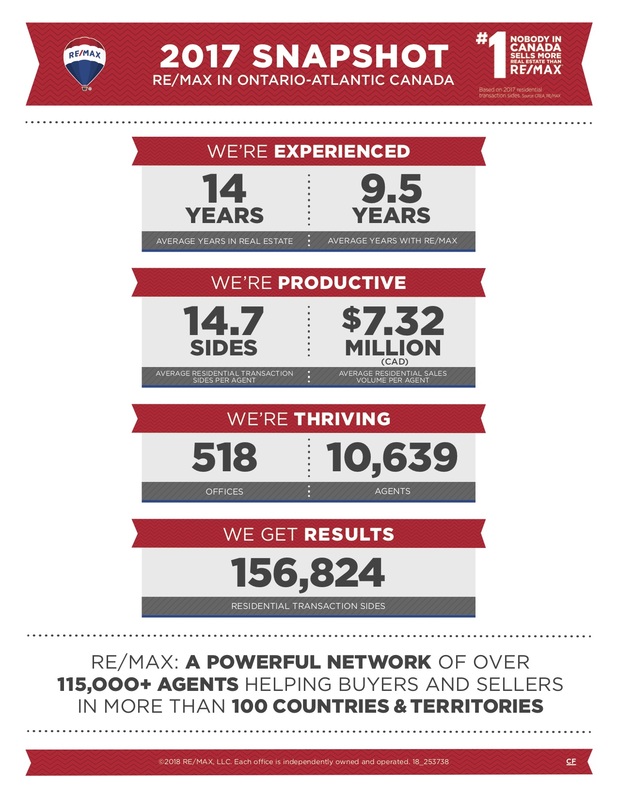 2017 was an incredible year for RE/MAX and it’s because of you, our amazing network of entrepreneurs! We know you are passionate about helping your clients find their perfect place. How do we know this? The proof is in stats. 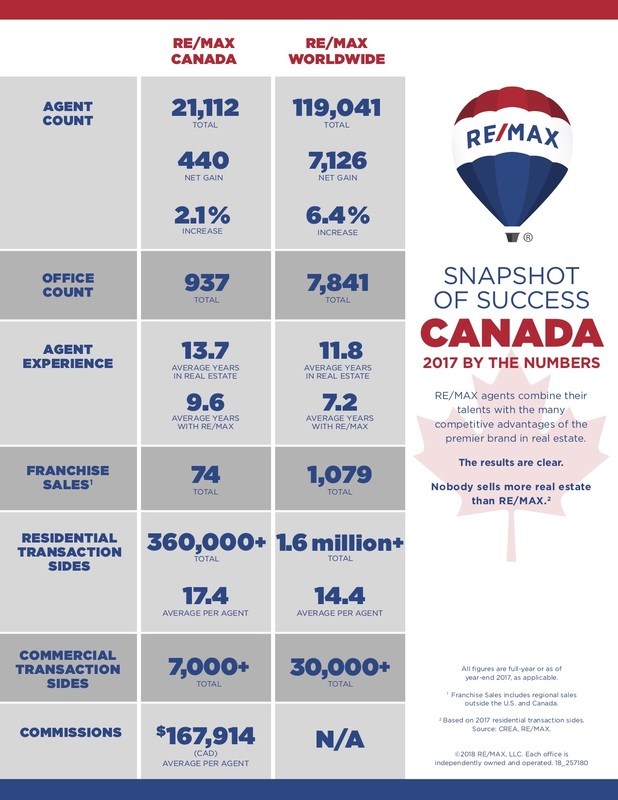 To help you help them and to increase your potential for leads and sales, we proudly present to you the RE/MAX versus the Industry Canada and the 2017 year-end snapshots. 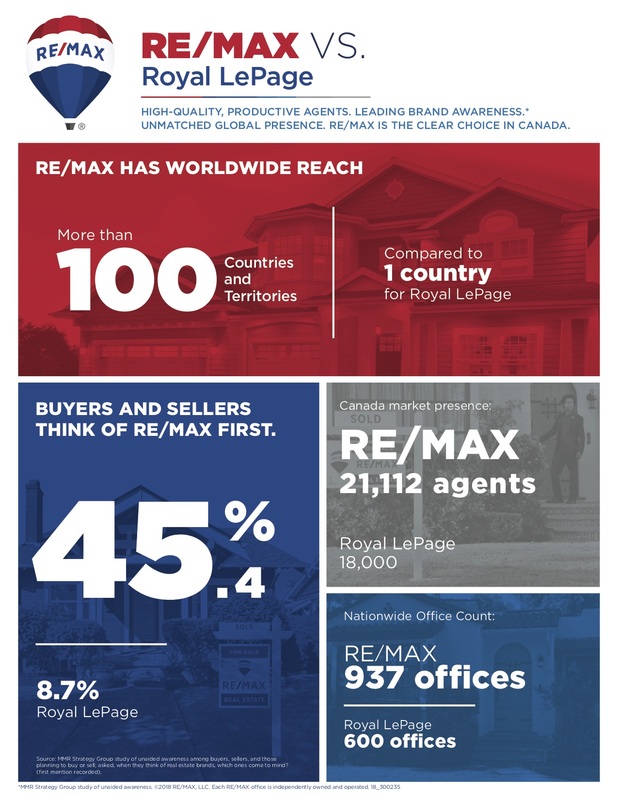 We have also just added a new snapshot for you to share with your colleagues and clients: RE/MAX vs. Royal LePage. These numbers reflect the consistent growth of our network and show you are part of a network where great, innovative and forward-thinking professionals are making magic happen and our brand is being celebrated! We encourage you to spread the #REMAXHustle around using the tools and resources provided. Download RE/MAX vs The Industry by clicking the button below! Share the consumer facing RE/MAX vs the Industry & Consumer Facing Ontario-Atlantic Snapshot on your website and with your clients. It’s important for them to know they are working with the best and brightest when using RE/MAX services. Share on social media and let everyone know about your Canadian pride! With these resources you can share out our Canadian presence – just in time for Canada Day! This solidifies that we have the best exposure for listings and offers a wider potential to capture buyers. It provides a glimpse of just how productive and wide-reaching we are in real estate! Download the Snapshots by clicking the buttons below! Next articleRE/MAX Social Media Best Practices Guide | Download Now!